Full Sail's alumni network includes more than 68,000 grads, working in a wide range of unique roles all over the world. Here are just a few of the latest updates, accomplishments, and accolades from our grads. Jason Hanrahan, a film graduate, recently launched Contrast Logic, LLC – an agency based in New Jersey that specializes in content marketing. Previously, Jason had interned with Hungry Man Productions, a position he says influences his daily life to this day. 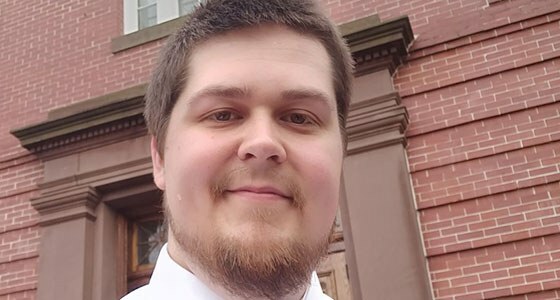 Michael Dimock, an Entertainment Business and Public Relations graduate, recently accepted a position with the city of East Point, Georgia, as station manager/editor/videographer. He currently runs several of East Point’s programming channels via the city’s social media and television outlets. Previously, Michael had developed 30 Below Sports and Entertainment Management while attending Full Sail. Jeff Decker, a Game Design grad, is currently the engineering manager of Amplify Education. Amplify partners with teachers to provide next-generation curriculum and assessments to students. Jennie LaBonte, a Recording Arts graduate, recently provided the sound design on Destiny 2’s Forsaken expansion, designing and implementing all the audio for the Dreaming City location featured in the game. Recording Arts and Digital Media grad, Angel Banchs currently works for Reality Check Systems – a company that specializes in live sporting and esports events by creating graphics packages and control solutions. Some of Reality Check Systems clients include NFL Network, UFC, Riot Games, Fox Sports, and Major League Gaming. Currently, Jeff Kleinzweig is a senior environment/technical artist at 2k Sports. His career in games has spanned a variety of companies including Zindagi Games, Zynga, and Insomniac Games. “I’ve been really lucky to work on so many amazing game franchises over the years," he says, "and I owe a lot of it to Full Sail!” Some of his most recent work was featured on 2018’s Spider-Man (PS4). Recording Arts grad Yu Ting Ten has teamed up with another Full Sail grad to form the music production and audio post-production studio, GRYD. After a stint at Red Storm Entertainment – famous for titles like Tom Clancy’s The Division, Tom Clancy’s the Division 2, Far Cry 4 – grad Michael Galli recently started at Raven Software as a senior weapons artist on an unannounced project. Jacob Everett recently joined Backflip Studios as a producer on Transformers: Earth Wars – a new multi-million dollar app on iOS and Android. Following this, he’s been tasked with rebooting Backflip’s internal publishing department. Previously, Jacob worked with Cartoon Network as a producer on Adventure Time Battle Party and several other projects. Let us know what you’ve been up to. Offering an advisory team made up of degree-specific industry professionals. Providing guidance on employment strategy - personal brand development, cover letters, resumes, and practice interviewing. Hosting recruitment events, alumni events and guest speaking. Maintaining career-long commitment to continued success at any level.